style is style: The House of Harlow. Dinner at an Indian restaurant for my friend's birthday. The food was so very delicious, I wish I could eat it every day! This ring was a lovely ChicReward that I stalked on Chictopia until it was redeemable. I'm not sure if it's too large for...life. It covers a good portion of my fingers, but it's so ridiculous that I kind of love it. I think life sometimes need a good dose of crazy, right? D.I.Y. leopard turban. 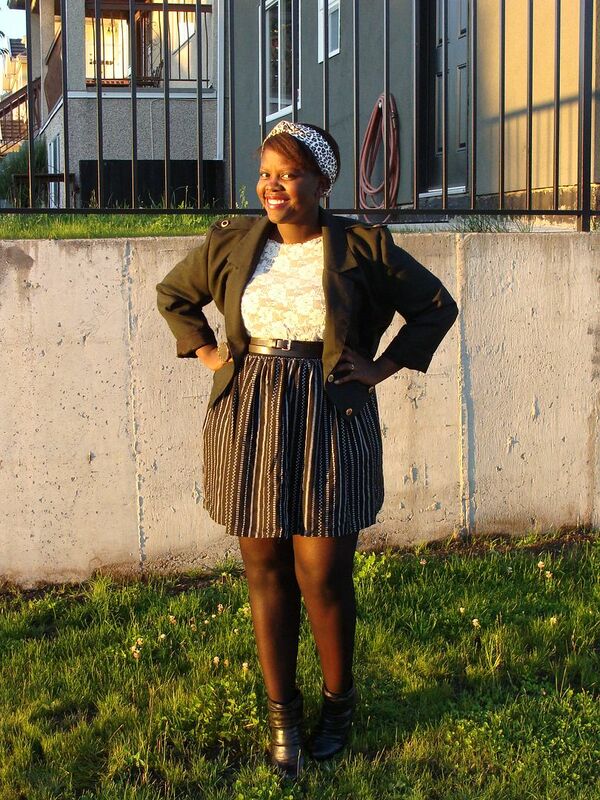 Thrifted jacket, lace top, skirt. Joe Fresh leather double belt. Dollar Store sheer tights. Bamboo ankle booties. 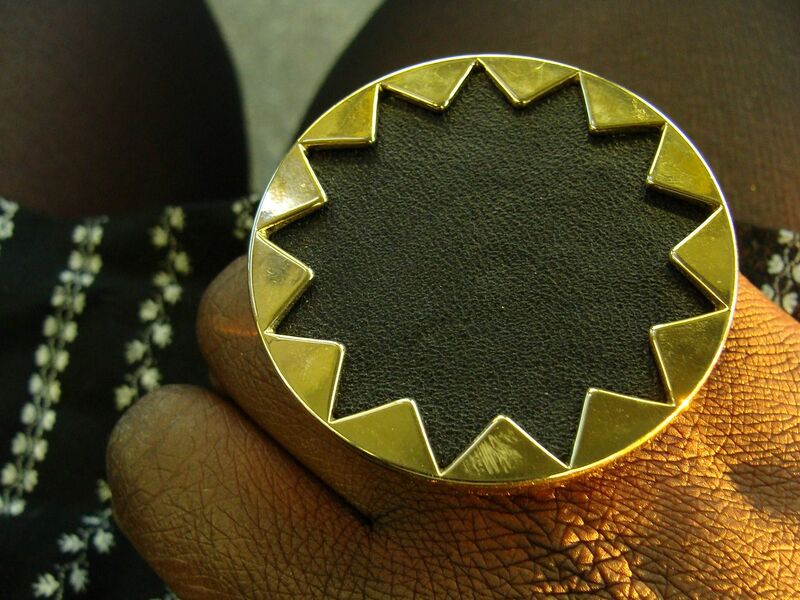 House of Harlow ring (from ChicRewards). 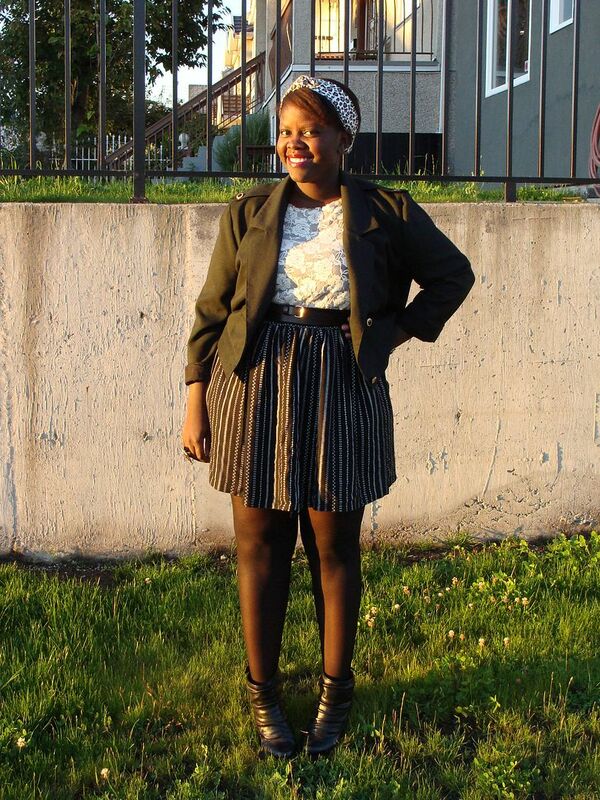 Love this--especially that amazing blazer!